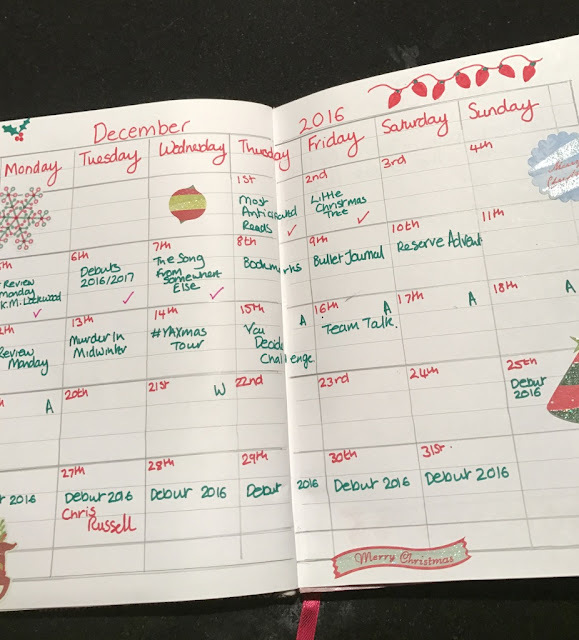 A couple of weeks ago during #ukteenchat, I brought up the subject of bullet journalling. Quite a few bloggers as well as authors were really intrigued by the idea, but found it a struggle to decide how to start. So I thought I would write a post about it. I wouldn't have got into bullet journalling if it hadn't been for Sarah at @sarahs_chapter. Sarah wrote an amazing post here. I was so impressed I went away and started collecting all the things that I would need to make my very own bullet journal. 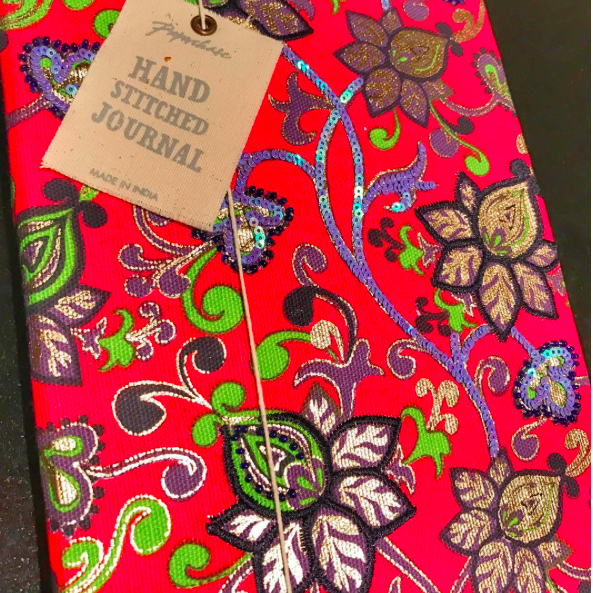 Firstly I needed to pick a journal. I really like the look of the dotted ones, but the covers didn't really impress me at all. I wanted something more personal. 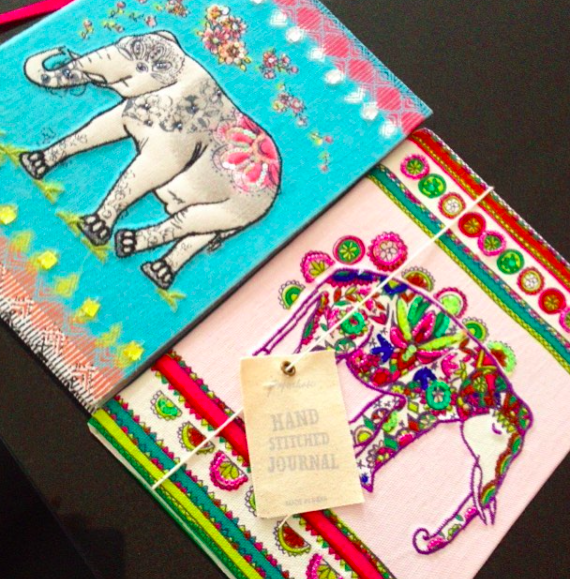 So I turned to my old favourites, the hand stitched journals from Paperchase. I love them because they are so beautiful to look at and so detailed. As I want to keep these books for ever, I think they make the perfect choice. Once I had chosen a book, I needed to find the right pens. I started with Sharpies and quickly gave up them. They were too thick and sunk through the page. 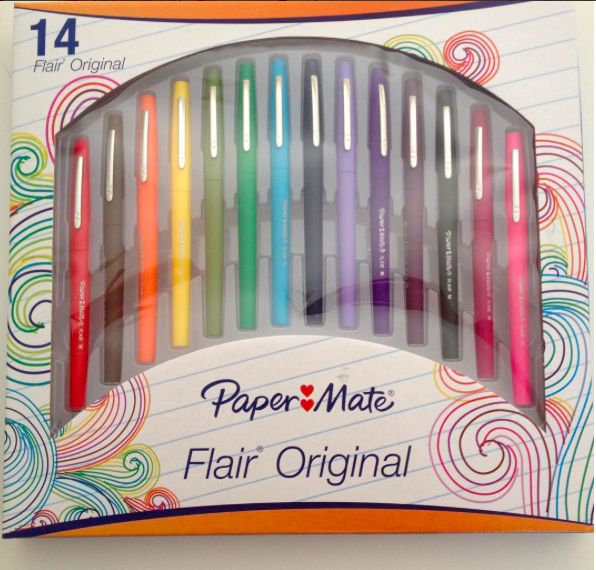 So I invested in a box of Papermate Flair pens. These are brilliant to write with. The ink flows beautifully and it doesn't leak through the pages at all. You have to start the book with an index. Keep about four page sides free so that you can index all the pages you create. Make sure you number the pages as you go along. To be honest, I'm really bad at this. Armed with my pens and notebook, I scoured Pinterest and Instagram to come up with some pages that would suit me. I tried the weekly log and as of yet, I can't find a page that suits me. I write lists every day and get great satisfaction out of crossing them out. Not ideal in a bullet journal, that you want to keep. I will keep looking until I find one that suits me. 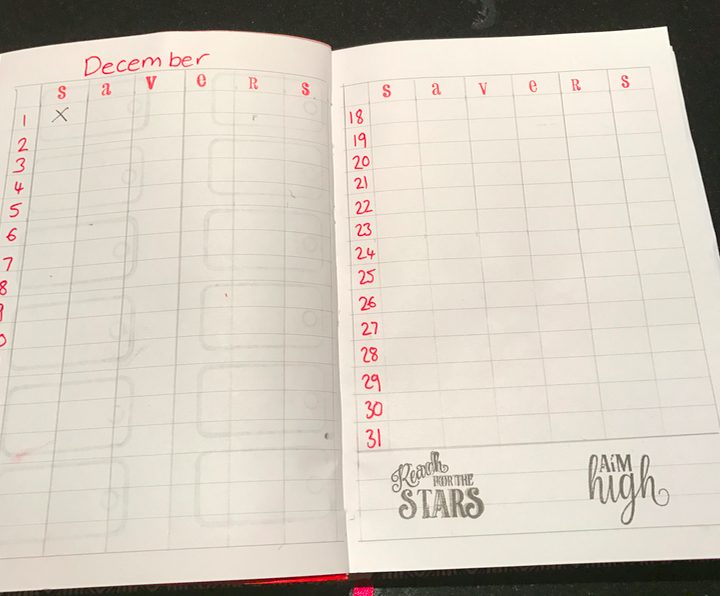 One page I've used regularly is my monthly calendar. I love to decorate it, but I've discovered quite sadly, that I can't draw to save my life and my writing is atrocious. So I've resorted to stickers, washi tape and ink stamps so that I can decorate my pages. Here are some of the other regular pages I've included each month. A monthly tracker is essential for me. I like to keep track of how many pages, I read each day. I aim for a minimum of fifty pages, but it can go either way. This helps me to keep track. 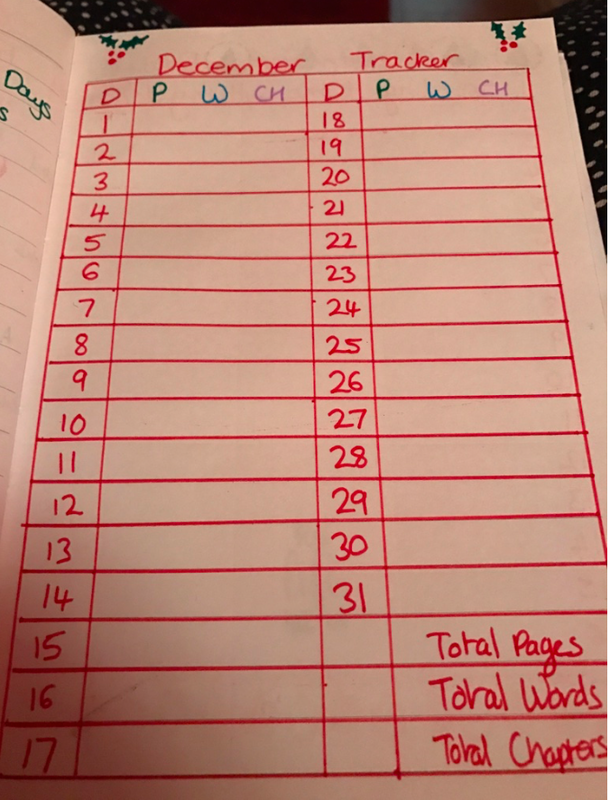 I also like to keep track of how many words I write, as well as how many chapters I edit. This is an easy way of doing it. Earlier in the year, I read Miracle Morning by Hal Elrod. I was so inspired by it, I started to do the miracle morning every day. Unfortunately, I have days when I do forget. By creating this chart, I can concentrate on completing my SAVERS every day. Another part of Miracle Morning I like to do is my gratitude list. I think it's important to show gratitude and be thankful for everything that happens in your life. This helps me to focus on being grateful every day. 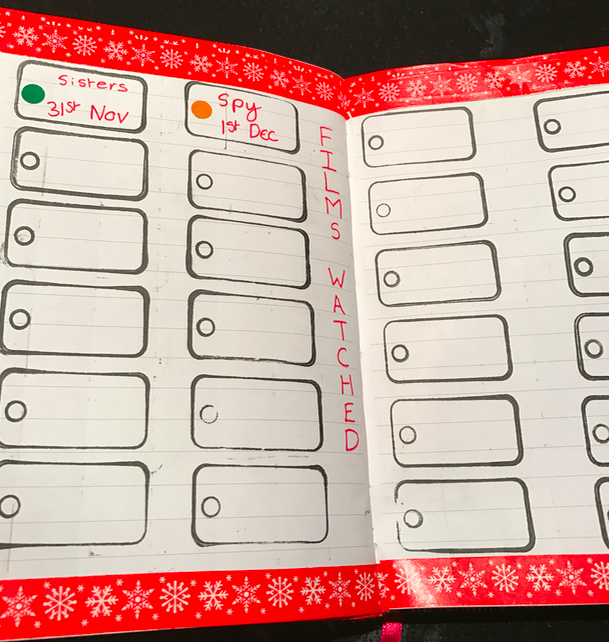 The bullet journal is excellent for keeping track of things. I realised recently how few films I ever watch these days and I wanted to change that. So I set up this chart to record the films I actually watch, giving them a traffic lights rating system. Most people using bullet journals tend to include monthly goals. Mine are looking slightly sparse this month as I know I'm not going to get much writing done in the run up to Christmas. There are so many different pages you can include in your journal. 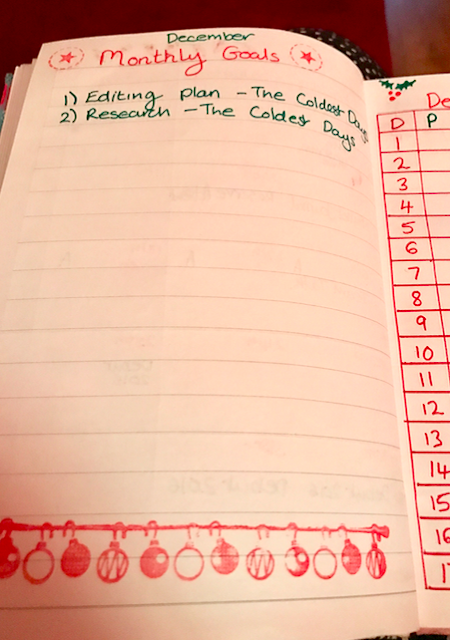 For the New Year, I hope to include an exercise plan, a TBR list, as well as books read list. I will also include all the book challenges I take part in. What's most important about a bullet journal is that it reflects the things that are important to you in life. I didn't really design this for anyone else to see. I know it isn't as pretty as other peoples, but I like it and it gives me a place to keep details of my life. Would I recommend that you start one? Look around. Check out posts on Pinterest and Instagram to find the page designs that suit you. And give it a go. If you're like me and can't draw, then buy pretty stickers and stamps to create the pages that suit you. 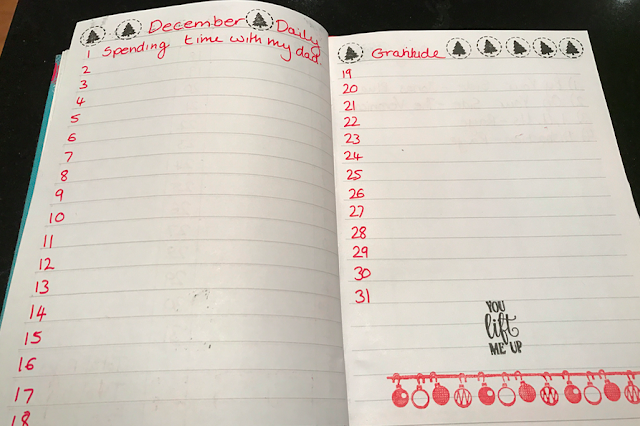 I look forward to seeing all your bullet journals soon.